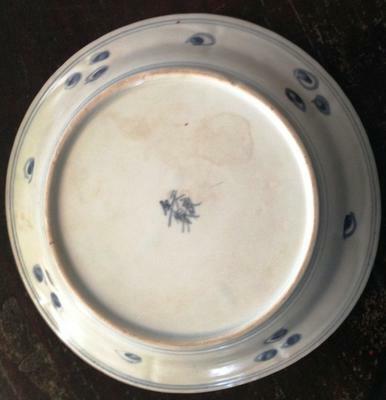 Chinese Plate or Blue Imari? 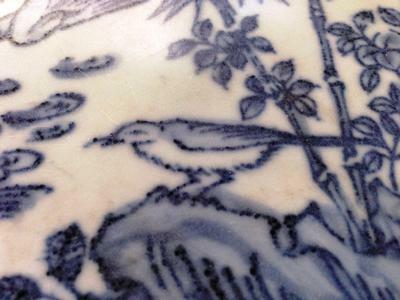 I sent you more detail pictures from the Chinese plate. I hope you can identified the plate I sent before. 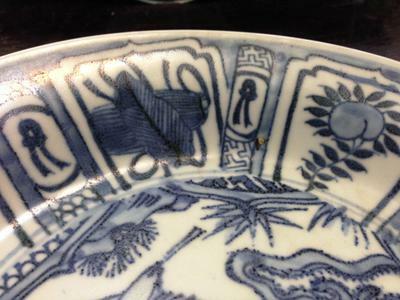 Comments for Chinese Plate or Blue Imari? IT VALUE OF ANTIQUES ? That is a Kraak pattern, but the glaze and blue color look unnatural. Especially also the bottom and foot rim don't look right for a late Ming Kraak plate. The blue color looks as if it was printed. Not sure about this, but it looks flat. I have some real such pieces and they give a different impression, I'm afraid.